Back in June, I posted about the writing tools I use on the iPad. Well, things have changed! There's no shortage of good options around for the iPad now. And, when combined with the wonderful Scrivener 2.0, and its ability to sync with Dropbox, it is now possible to edit a current Scrivener project while on-the-go. It's still a little fussy, but ten times better than it used to be. First is PlainText. It's a simple text editor, with a beautiful streamlined interface, and it can be tied to your Dropbox account. Offline editing is possible (some will only work with Dropbox when you're on the network). Folders are supported. It's minimalist and it's fantastic. When I write on the iPad, this is what I use. Best of all, it's free, though I think it's worth the few dollars in order to remove the ads. Second is neu.Annotate PDF. This is a free PDF viewer that lets you make annotations. Hightlights, scribblings, text -- whatever you want. It's fast and, though a bit quirky at times, does what I need. Can't beat the price, either. I'm using neu.Annotate more than PlainText right now, simply because I am in revision mode. The iPad seems good for writing new stuff, but when it comes to editing I'm much more efficient when I have my Mac handy and Scrivener front and center. 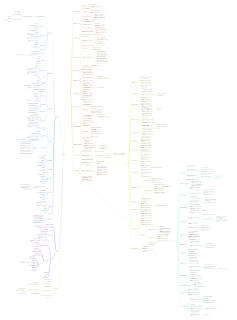 Recently I switched mind-mapping tools -- from Freemind to MindNode -- and in doing so I happened to open my original outline for the novel I'm working on. I thought it'd be fun to share it, at least in visual form (I'll probably share the actual content of it later, when the book is done). The three big chunks on the right are Act 1, Act 2, and Act 3. The chunks on the left are things like characters, settings, and misc world-details. It's fun to re-read it now, after three drafts and so many changes. 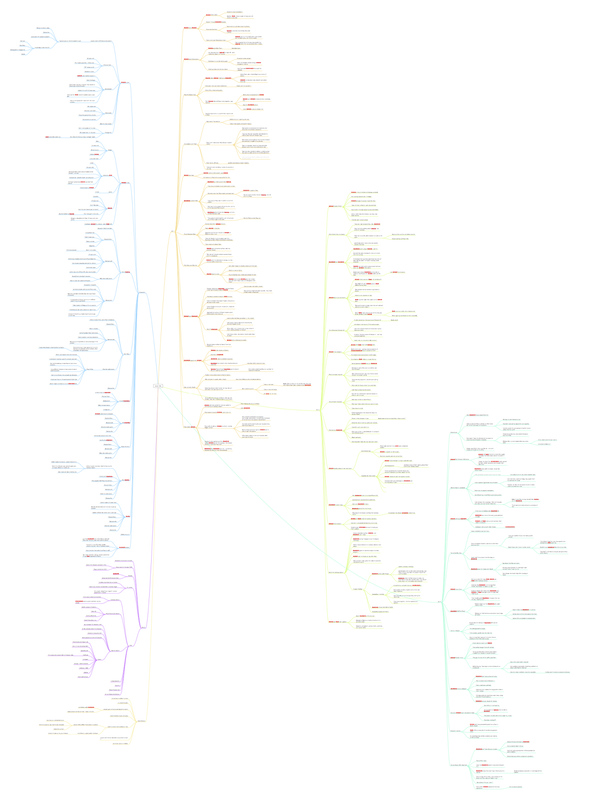 Once I imported this info into Scrivener, I abandoned the mindmap file, so it truly is a snapshop of what I'd planned to write. I'm happy to see that the meat of my story has remained the same through all the revisions. As I said, I'll share a detailed version later for anyone who might be interested in how things evolve from outline to final product. If I'm allowed, I'd also like to post a PDF of the first draft -- I think it would be useful for fledging writers to see just how crappy a first draft can, and perhaps should, be.